Whether you’re pitching your creative ideas to a perspective client or are taking your investors out to celebrate a successful deal, the location you choose ought to be something unique and worth remembering. Keep reading to discover which Melbourne hotspots are the most ideal to host your next client meeting. For a decadent experience that will fill your clients with a sense of whimsical intrigue, we recommend taking them to Baroq House. This venue is a hidden gem that lays nestled within a 19th century cobblestone laneway. If you’re after a space that mixes psychedelic design with grandeur stylings and prestige, Baroq House is the place to go. At Baroq, you and your clients will be in awe of the venue’s old-world décor and modern fittings. To celebrate, indulge in the fine selection of rare spirits that you will find behind Baroq’s stylish bars. Check out the Baroq House website for more information. 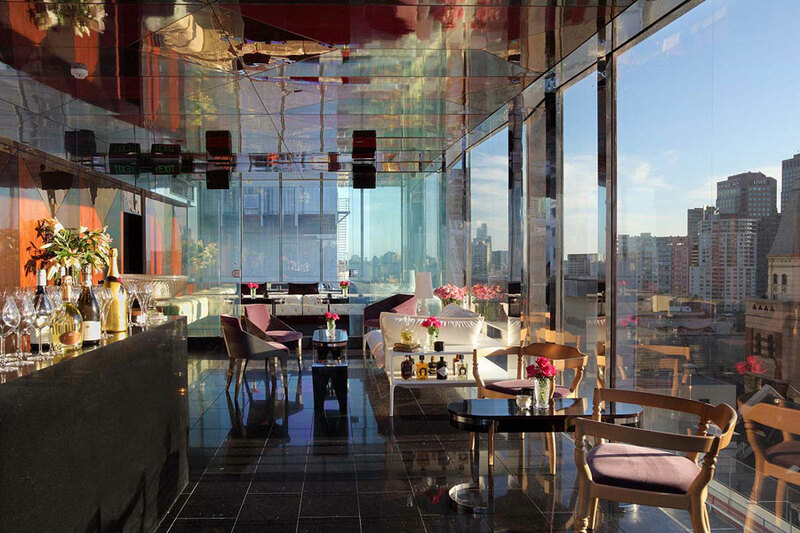 Looking to set your client meeting with incredible views of the city skyline? Try Mon Bijou. No matter if your meeting is set in the day or evening, you will be sure to impress your clients with stunning views that they won’t ever forget. Leave a lasting impression and share flavorous drinks and gourmet canapes with your business partners. Whether you’re after a more corporate gathering or after something a little more relaxed, Mon Bijou is the top choice if you are looking to take your clients to an elegant space set up amongst the clouds. To find out more about Mon Bijou’s function packages, click here. As one of Melbourne’s most exclusive hotspots within the CBD, Bond is your best choice if you’re wanting to take your clients to a relaxed and lavish atmosphere. Bond’s interior has been intricately designed by the highly reputable and award-winning team at Hachem. Furnished with state-of-the-art fittings and potent sound systems, Bond is the place to be to celebrate with your clients while you mingle with the hottest local and international music producers and performers. Check out Bond’s uniquely lavish atmosphere by navigating through the Bond Virtual Tour. For more ideas in hosting your business event, contact Melbourne’s Best Functions. We have refined experience in venue, catering and event management and have a renowned reputation for providing outstanding event results. If you’d like to know more about our services, please call us on (03) 8199 3733 or send us online enquiry.